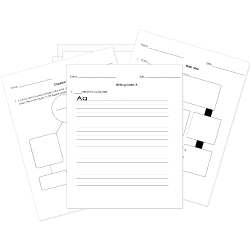 You can create printable tests and worksheets from these Around the World in 80 Days questions! Select one or more questions using the checkboxes above each question. Then click the add selected questions to a test button before moving to another page. Phileas Fogg read in a newspaper it was possible to travel around the world in eighty days. Why were Phileas Fogg and Passepartout arrested and brought to court in Calcutta? Who dressed up as the dead prince to save Princess Aouda? Who took over the train on the way to New York? What job did Passepartout have before becoming Phileas Fogg's butler? Phileas Fogg had an exciting life before traveling around the world. Phileas Fogg always remained calm when there was trouble while traveling. Phileas Fogg became a thief and stole fifty-five thousand pounds to pay for his travels. Phileas Fogg bet his friends twenty-five thousand pounds he could travel around the world in eight days.